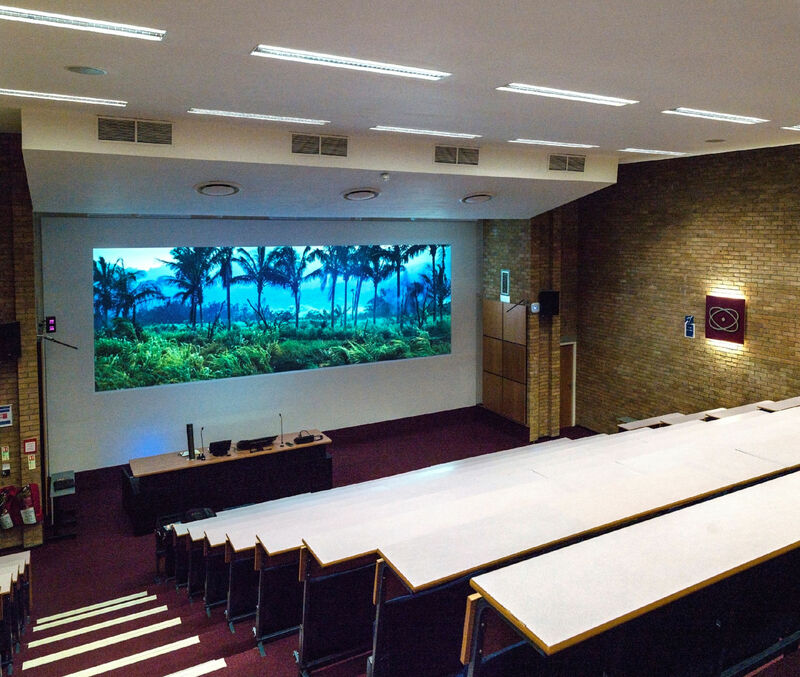 tvONE announces that a CORIOmaster video wall processor is driving projection walls at a 200-seat lecture theater at the University of Kent. tvONE announces that a CORIOmaster mini video wall processor is driving a spectacular 180m² LED screen housed in the ceiling of a passageway running through the center of Fen Court, a new 15-story office and retail development in London. 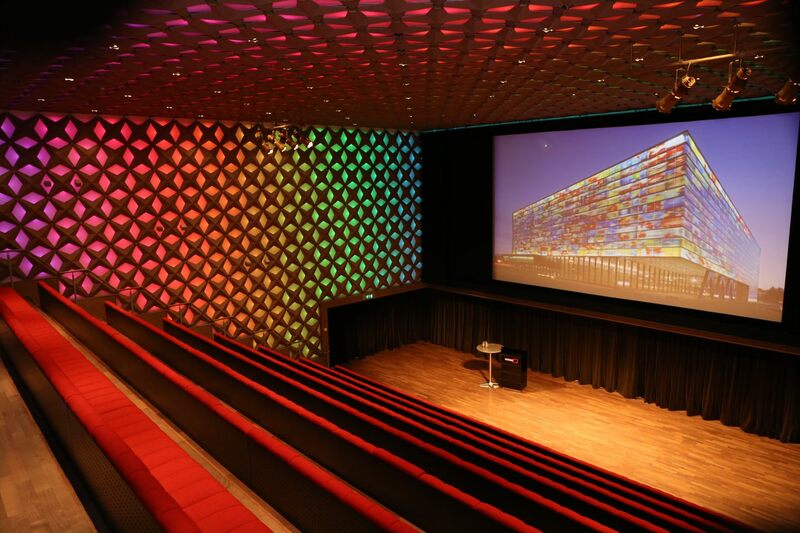 tvONE announces an install featuring the C2-8210 universal seamless switcher inside The Netherlands Institute for Sound and Vision to elevate the video and sound quality of two theatre halls utilized for movies, education, corporate events & presentations. tvONE announces another CORIOmaster video wall processing success story at Noorderpoort, a vocational school located in Groningen with about 800 students studying Technology & ICT training. tvONE elevates the virtual decor of Europe's most modern and complete studios with CORIOmaster. The studio is complete with an advanced sound system, modern light coating, laser technology, and a rain shower and fountain. 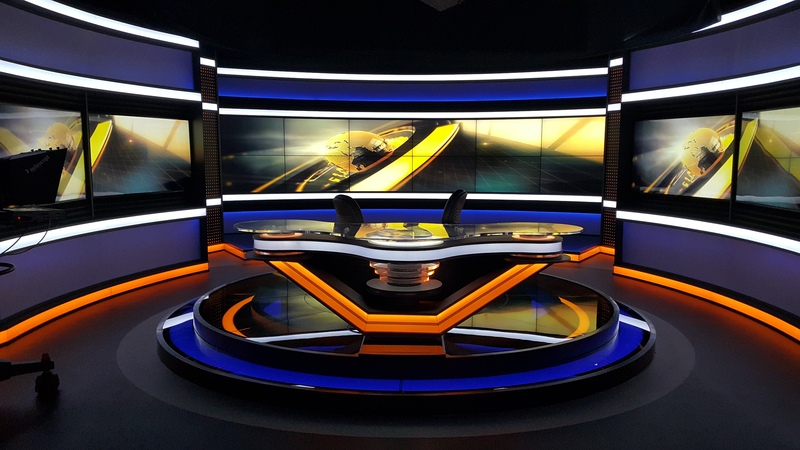 Kuwait TV installs a CORIOmaster controlled video wall processor in a major news studio. The $120,000 video wall was built by Gulf Apps Technical Solutions, as part of an extensive refurbishment program at the studios. New London Architecture (NLA) wanted to create a huge model of London that shows its iconic skyline, reveals the capital’s planned developments and demonstrates graphically how the city has changed over the last two millennia. The New London Model would be its flagship exhibition at NLA Galleries at The Building Centre. The Georgetown University School of Continuing Studies studio features a set backdrop consisting of six 84" LG LCD displays, plus an additional 60" display to the side. All the displays are driven by a CORIOmaster using HDBaseT extension. Sources include sends from an SDI & HDMI router, and two Brightsign players for graphic images. Real-time configuration of the display wall is controlled by CORIOgrapher software. Storytelling, breaking news, traffic and weather coverage are now enhanced by special features built into the set, including a main video wall in a curved 3x6x46” array as a backdrop to the anchors. This allows WGCL the flexibility to not only change the backgrounds, but to showcase story content with graphics, video, animations and content. The C3-540 CORIOmaster powers Nine (9) 60" Salitek MPDP60 Plasma displays in a 3 x 3 configuration and two (2) 42" Orion PDP plasma displays in the face of the anchor desk. In addition, two low-res LED displays were configures. One was a 15 x 3 "L" shaped wall, which wraps around an oblique corner angle and the other a 6 x 5 panel wall. A college facility used heavily for lectures, multimedia presentations, meetings, and movie showings required a simple, yet flexible control system. An AV system using both digital audio and video equipment was created and managed by Intent Digital’s "Energize" Configurable Control System. All sources are displayed on an Eiki video projector through a tvONE C2-8130 seamless switcher. A mobile command center for hydraulic fracturing jobs, Lime Instruments Data Vans contain up to nine computers that capture information from each piece of equipment in the frac spread. The tvONE C2-6104A is used to gather information from various sources throughout the frac spread and send them to a 55" touch screen display mounted to the wall of each Van for simultaneous viewing and comparison analysis. 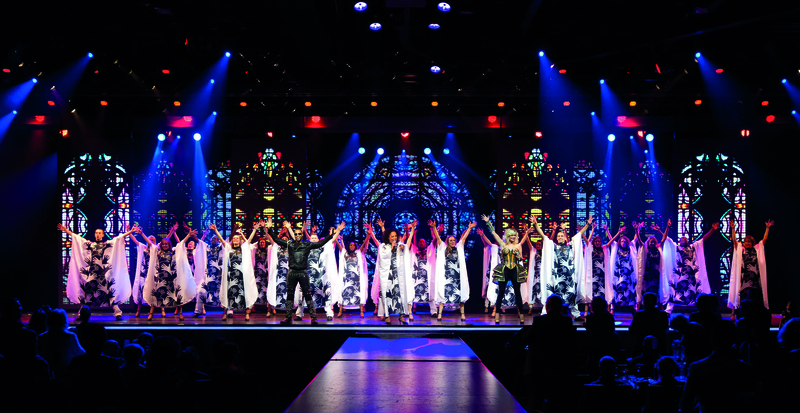 Scharff Weisberg Inc., a provider of Audio, Video and Lighting to the corporate, artistic and theatrical communities, installs two tvONE C2-2355A Universal Switcher/Scalers in the Broadway theatrical productions of "Wonderland" and "Women on the Verge of a Nervous Breakdown." The C2-2355 was selected due to its Up/Down/Cross-Conversion capabilities and price point. SEBRAE, an agency known for their support to entrepreneurs and small companies, wanted to go big for the commercial launch of their new website. How big? A video wall display over the one side of the MASP building, located in Sao Paulo City. Video projected on the side of a large building combining projectors seamlessly using multiple tvONE C2-2350A video processor in an edge blending video creation. The Abu Dhabi Urban Planning council gave visitors a glimpse into the future when it unveiled a massive model of how it expects the city to look in 2030. Suspendered projection adds life to this unbelievable display by is mounting multiple projectors driven from tvONE Edge Blenders. The Hamburg Planetarium is not only one of the oldest Planetariums around the world, but also one of the finest, with a complex multimedia setup that includes the most advanced laser and lightshow system in the world. It attracts around 350,000 visitors each year, making it one of the most successful amongst all German Planetariums to date. InterfaceFLOR’s needed video wall displays for their new showroom, a customer center and office space that allows visitors to experience their custom and environmentally-responsible modular carpets. Two C2-6104’s, four C2-2450A’s, and two 1T-DA-552 DVI DA’s were chosen. This unique setup provided the proper edge blending applications InterfaceFLOR needed on both walls with stunning brightness and sharp picture quality. Tony-nominated, American Idiot is one of Broadway’s most technologically advanced musicals. It’s based on Green Day’s 2004 Grammy-winning album and features an overwhelming presence of video. The stage features 44 LCD screens, which display 500 unique media clips during a 90-minute production. The new daytime syndicated series “The Dr. Oz Show”, produced by ZoCo Productions LLC and co-produced by Harpo Productions and Sony Pictures Television (SPT), utilize tvONE’s C2-2355A Universal Switcher/Scalers to produce an illuminated background on the set. The Buffalo Bills improve workflow and play review precision by renovating nine coaching rooms by moving the team’s A/V technology to the latest, High Definition, Multi-Media capabilities. 12 Sony high output HD projectors and two Panasonic 65" plasma displays where placed in the rooms and then dedicated 10 tvONE C2-1250 scalers to the task of seamlessly switching the PC and HD Video inputs.